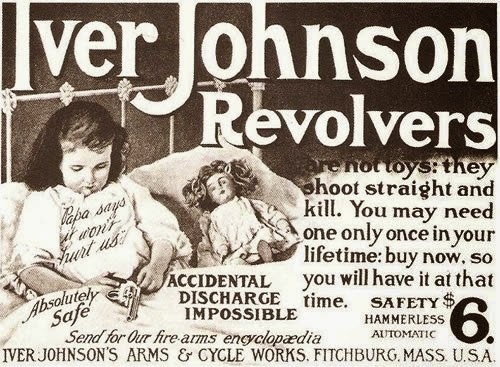 In related news, Iver Johnson Revolvers are Absolutely Safe. It's a Fact. 1. Silencers, aka suppressors, are mufflers. They’re just like what's on your car. If your car was not equipped with suppressors, it would sound like a lot like a machine gun. Another interesting fact; in England, automobile mufflers are called silencers. 2. Suppressors do not completely silence firearms. Hollywood's depiction of silencers is laughably incorrect. The blast is still very evident, but the sound pressure is reduced to a safer level. 3. Firearm reports (blasts) are dangerous to human hearing. Hearing loss is progressive. It never restores itself. A suppressed firearm sounds roughly the same to the shooter as it would sound (and feel) if the shooter were wearing passive ear protection like earplugs or muffs. Therefore, no need for the shooter to wear hearing protection if he or she is using a suppressed firearm. 4. Suppressors also benefit those around the hunter (or recreational shooter). No need to wear ear protection, even if you're not the shooter. People living in neighborhoods close to hunting grounds will be much less annoyed/scared/upset/etc. if hunters and recreational shooters used suppressors. They will still hear some "noise", but it won't be a tremendous blast. 5. Suppressors were added to the NFA's list of weapons to be regulated in 1934 under the assumption that people would use them to poach their neighbor's livestock. There never has been any evidence to support that claim by the Congress of 1934, nor today. And there are still 100s of thousands of suppressors in use today in the USA… most in states that DO allow suppressed hunting, yet poaching with suppressors simply does not happen to a measurable degree. a) Concealed Carry permit holders are 13% times LESS likely to commit ANY crime than the general population -- and this is not a comparison to stats of the criminal class, it is compared to members of the general population like you and I, who have no interest in breaking the law. b) 99% of suppressor owners also possess their Concealed Carry permit. Therefore, it can be said that suppressor owners are cleaner than your average babysitter. c) The only study I've ever seen on the criminal use of suppressors found that between 1995 and 2005, out of 40,000 homicides which were committed in the USA, only .001% of them involved suppressors. That is 4 out of 40,000. That is practically a non-consequential number. There are many more seemingly safe activities that we don’t ever consider regulating yet result in many more deaths. For example, many more people during that time-frame drowned in their bathtubs. In my opinion, any regulation of suppressors is unwarranted based on the available statistics. 7. England changed their laws to require that suppressors be used by hunters (in certain locales). Why? The HSE (Health Safety Executive, similar to our OSHA) conducted a study of suppressors,\ and discovered that their government would spend less money for restorative hearing procedures for their citizens if sportsmen would use suppressors. A suppressor costs a lot less than years of hearing aids, funded by tax dollars. 8. Because of many years the military gave no regard to hearing protection, the VA (Veterans Administration) spends billions of dollars every year for hearing aids for our veterans. Last year the VA bought over 600,000 hearing aids. Average cost per hearing aid is $4,000. You can do the math. Hearing damage is the number one disability claimed by veterans. The 2014 claims will total $2.26 billion. 9. Almost all branches of the US Military now use suppressors in training and combat to protect soldiers hearing. Because of the recent proliferation of suppressor use in the military, the VA will spend less money for hearing procedures over time. 10. Firearm and suppressor owners are very politically savvy. They keep track of who votes or does not vote to protect our 2nd amendment rights. To our state and federal representatives: Please continue to support legislation that reinforces the attitudes of the pro-2nd amendment constituents you represent. Thank you. If you've read this far and found this info useful, you may want more, perhaps? No prob... Click HERE. I like most of your points. But as a statistician I have a problem with your concealed carry permit statistic. Of course that is true. Criminals are less likely to register guns used in crimes. If I was going to commit a crime with a fire arm I wouldn't want to be on a government list. So it's like saying rich people don't rob convince stores. However, the real statistic would be the percentage of guns used in violent crimes that were at one point purchased legally. I honestly don't know that statistic but it would be interesting to see.